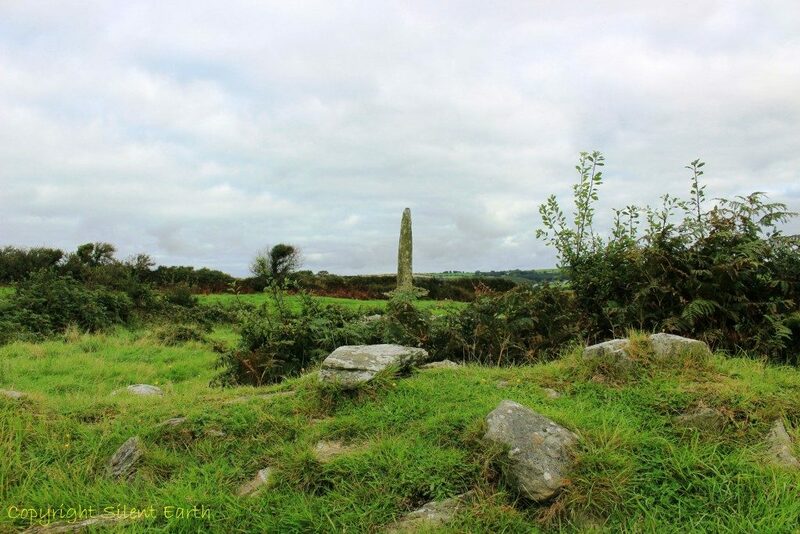 During September 2016 I spent a week in Clonaklity Co. Cork, Ireland, and at that time was provided with an opportunity to visit Templebryan stone circle and associated features, including the nearby ogham stone known as Cloughnakilla and the bullaun stone, a ‘wart well’ at the foot of the ogham stone. 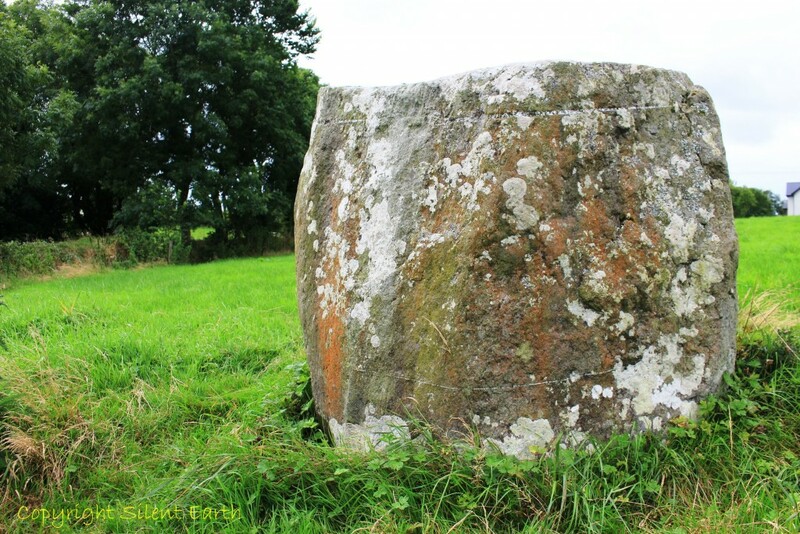 The location of the site is provided here by Megalithic Ireland and here on the Megalithic Portal. Templebryan is a recumbent stone circle approximately 2.5km north of Clonakilty near the village of Shannonvale. 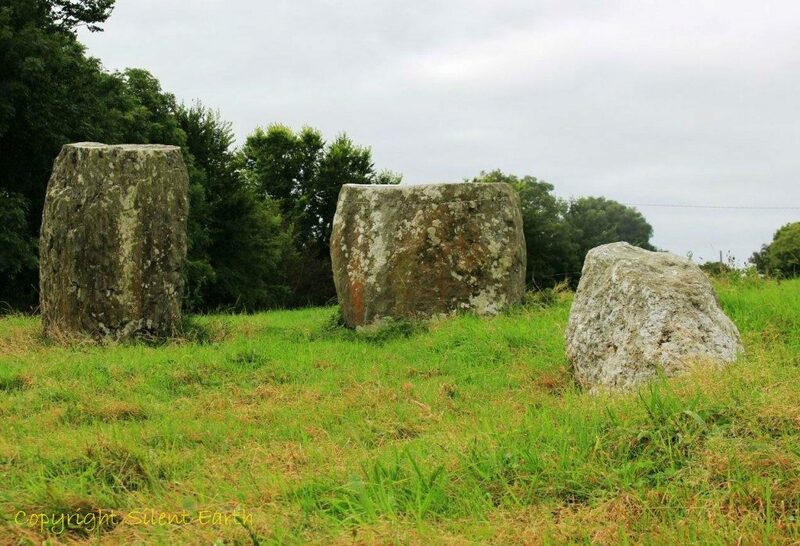 Four of its original perimeter stones remain upright and a fifth is nearly fallen. 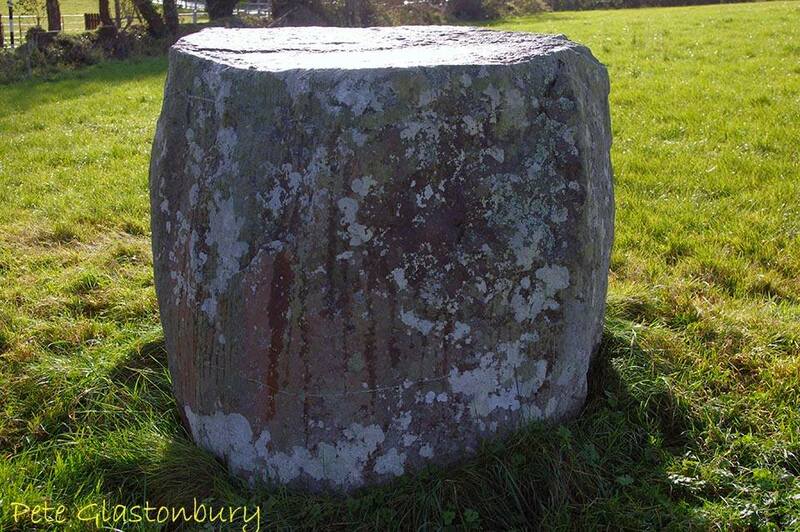 Nine stones were recorded as standing in the eighteenth century. 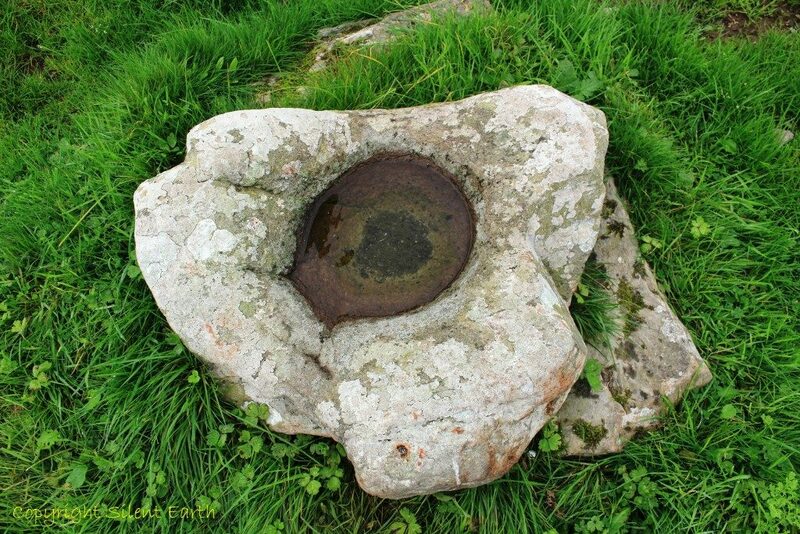 Off centre in the central region of the circle is a quartz stone said to be known locally as ‘Cloich Griene’, the ‘sun stone’, and possibly the stone from which the nearby town of Clonakilty ‘Clocha na Coillte‘ originally took its name. Below: The flat tops of the remaining upright stones are clearly visible in this photograph, with the recumbent stone to the south west. 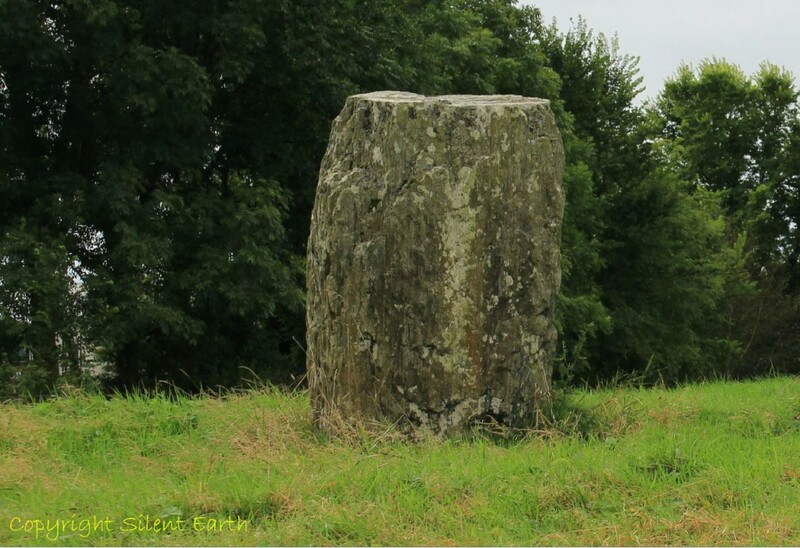 The stone on the right is possibly a portal stone from the original setting and is suggested by Professor Terence Meaden in his newly published book here, as possibly having a Beltane sunrise alignment with the recumbent stone. 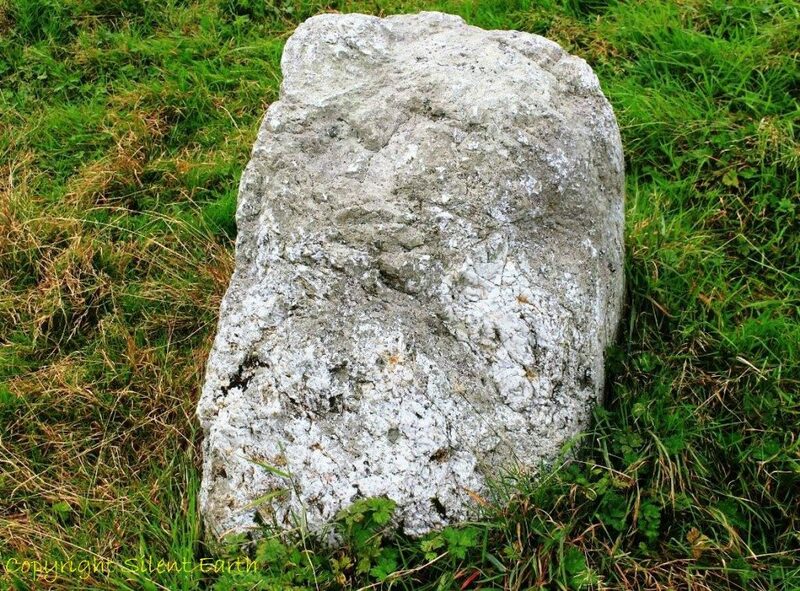 The recumbent stone has two horizontal veins of quartz running through it and its flat upper surface is another seam of quartz, perhaps a clean break at the weakest point of what was once a larger stone. Pete Glastonbury has kindly provided the photograph below of the upper surface illuminated by sun. 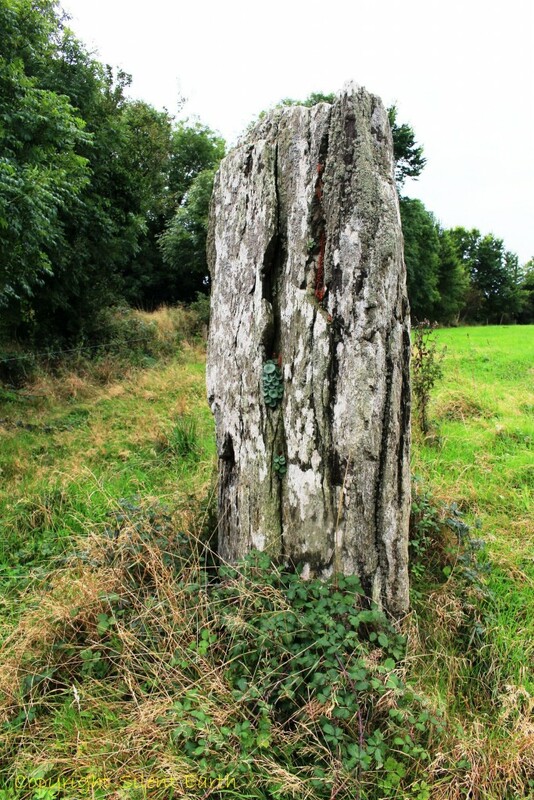 In his recently published book, Stonehenge, Avebury and Drombeg Stone Circles Deciphered, Professor Terence Meaden writes that the farmer and landowner of Templebryan stone circle, Mr. Murphy of Shannonvale near Clonakilty, told him in 2013 of the quartz stone union by shadow that takes place at midday at the winter solstice. 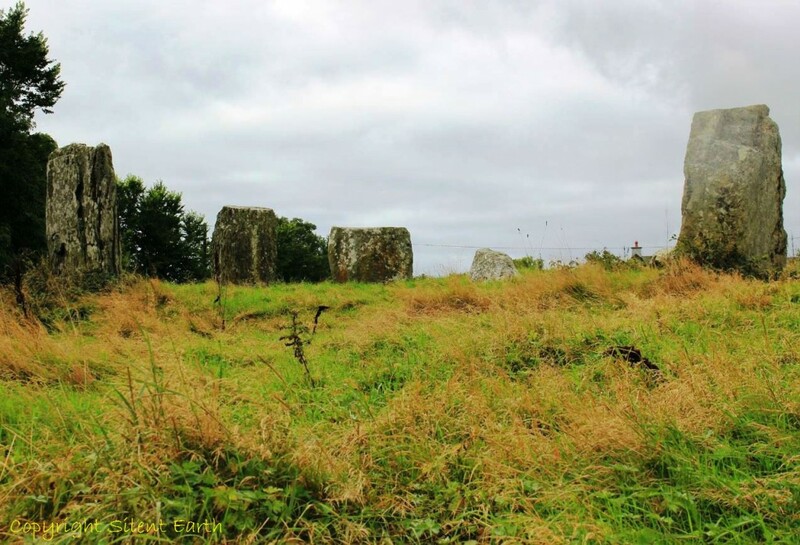 Templebryan stone circle is also known as the Druid’s Temple and its axial alignment is between 210 and 215 degrees. 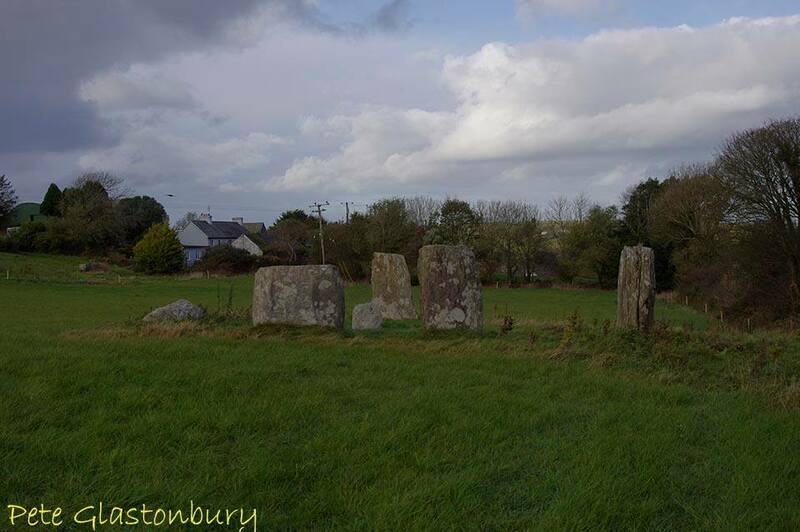 In 1743 nine stones were still standing, although by 1837 only the five stones seen today remained. 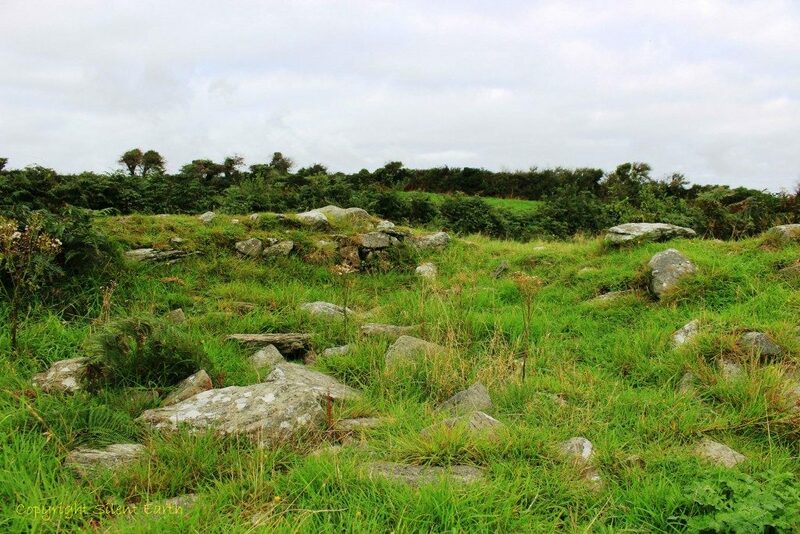 Approximately 300 metres northwest is another fascinating site described as an ‘early ecclesiastical enclosure’, which Mr. Murphy, the landowner, kindly allowed Mr. Meaden and I to visit. On arrival, Mrs. Murphy handed us a short explanatory sheet to this area, headed ‘Templebrien’, which states: ‘A map from 1841 shows a small graveyard and within the graveyard a rectangular structure which is Templebrien church in ruins. 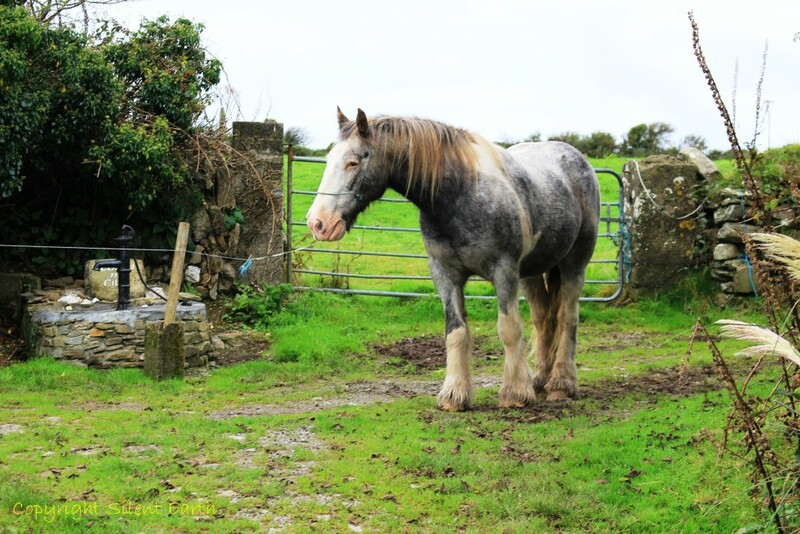 There is an Ogham stone, a Bullaun stone, and a holy well (Tobarnakilla) and these are in the townland of Templebrien North in the ancient parish of Templebrien, now part of the parish of Clonakilty and Darrarra. 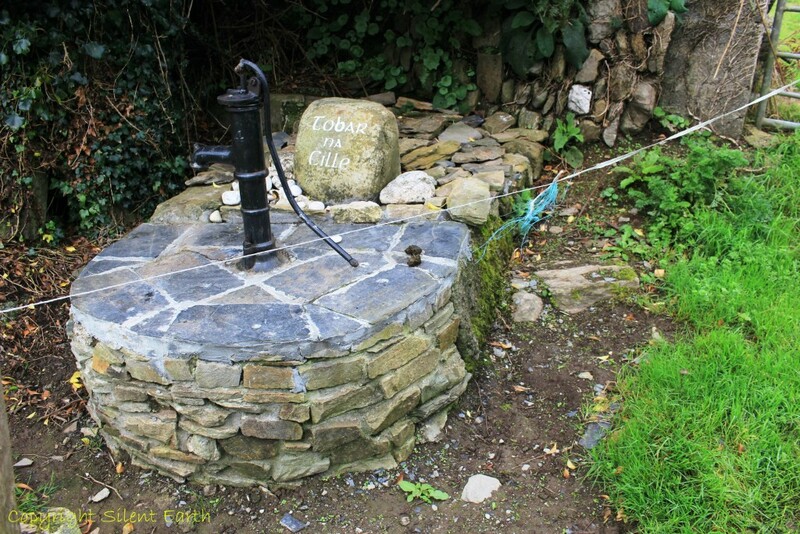 Below: Walking north along the lane-way towards the ecclesiastical enclosure, the holy well of Tobarnakilla is on the left. 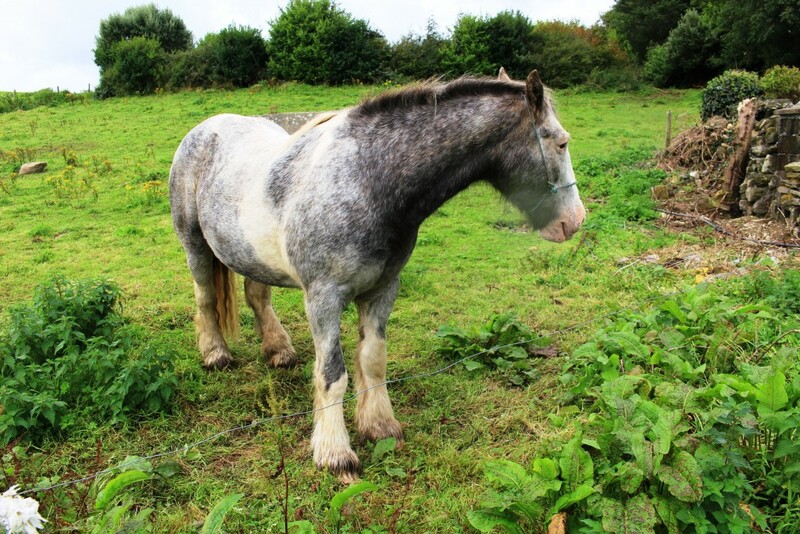 Below: The farm’s workhorse beside the well. 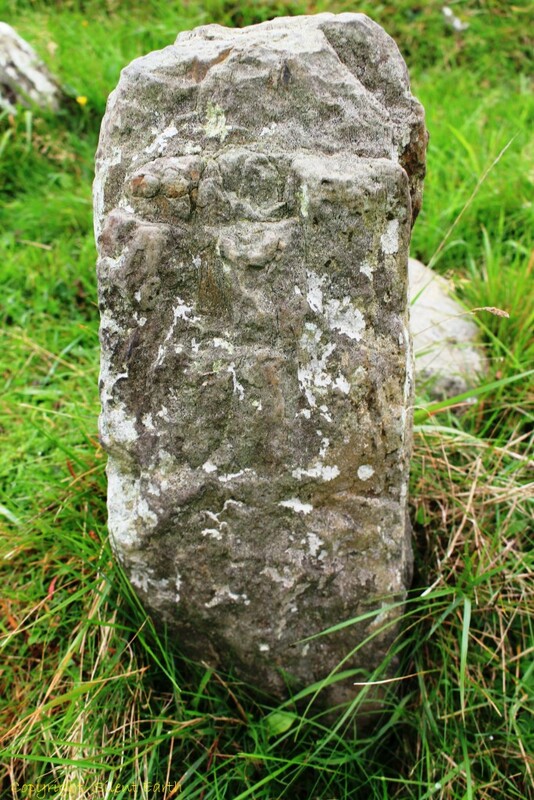 The Ogham stone to the north is just visible here on the horizon to the immediate left of the gatepost. 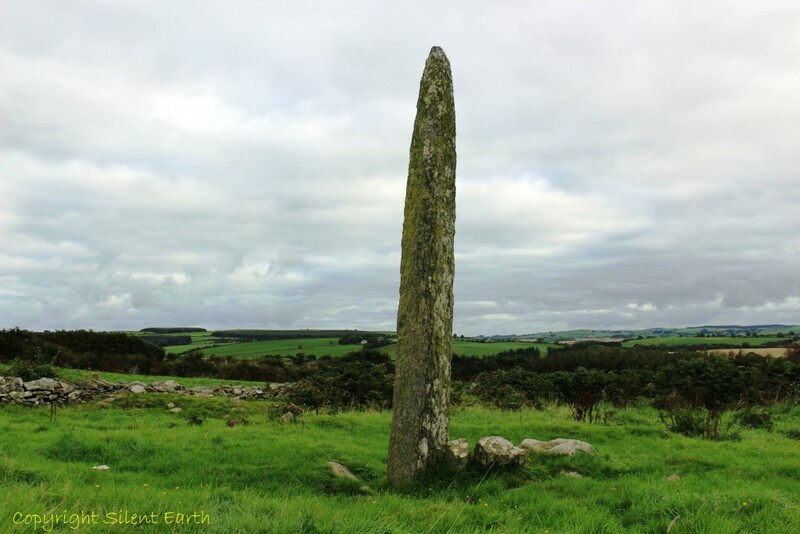 The ogham stone is known as Cloghnakilla. 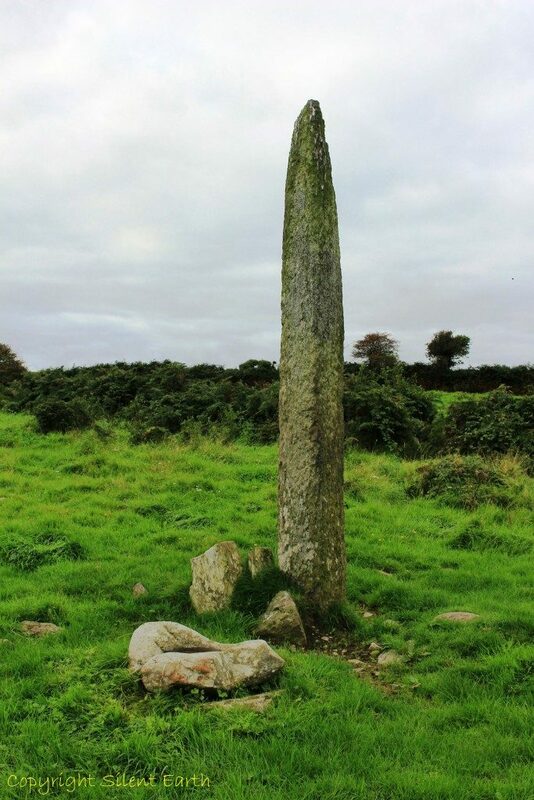 Below: The bullaun stone is in the foreground here immediately south of the Ogham stone. 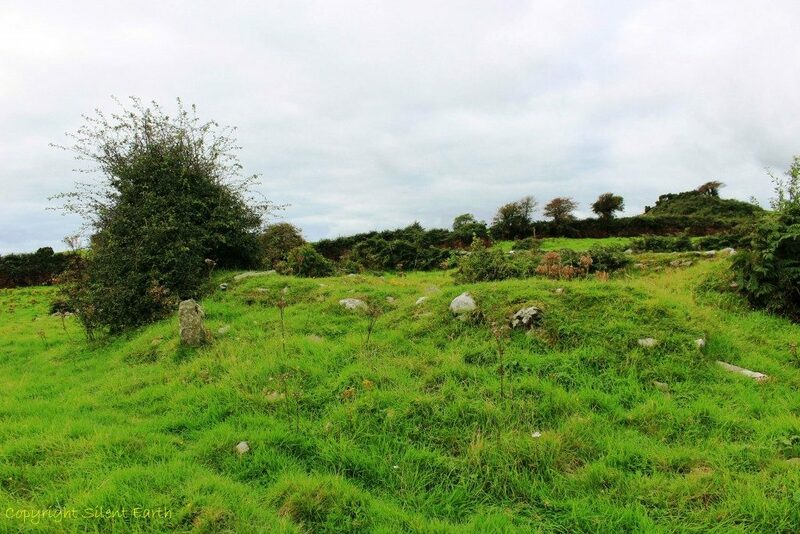 Below: In the foreground to the south of the of the ogham stone the remains of the northern wall of the church beyond which is the church graveyard . 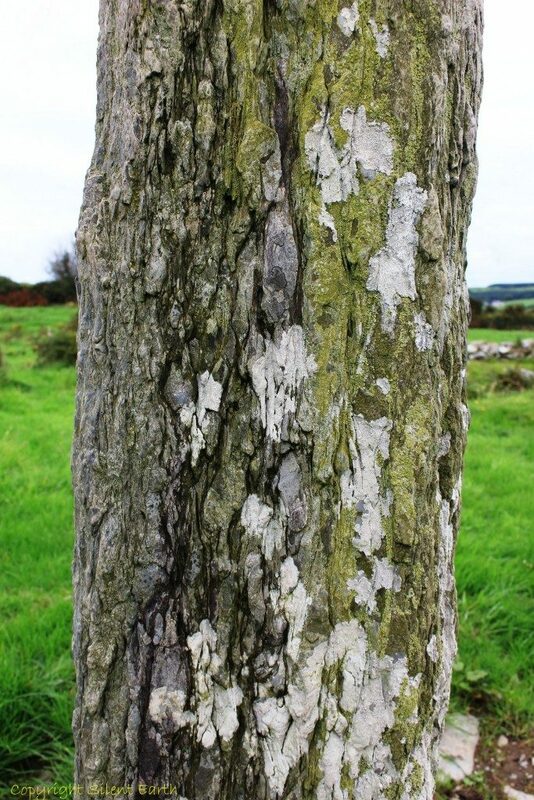 Below: The texture of the ogham/pillar stone brings to mind a fossilised tree trunk. There are three defined entrances into the Kill field from the surrounding area, from the northeast, east and southeast. It has been noted that the stones of the kiln were removed by the landowner for other purposes several generations ago. Below: Inside the ecclesiastical enclosure. Thank you to the landowners for such kind and hospitable access, to Terence Meaden, my guide on the day, and Pete Glastonbury for use of two photographs.